After establishing my eye level I began by drawing in the vertical lines of the front of my house. It was trying to work out the angles of the receding lines that was tricky. The lines do indeed meet off the page but not always in the same spot! 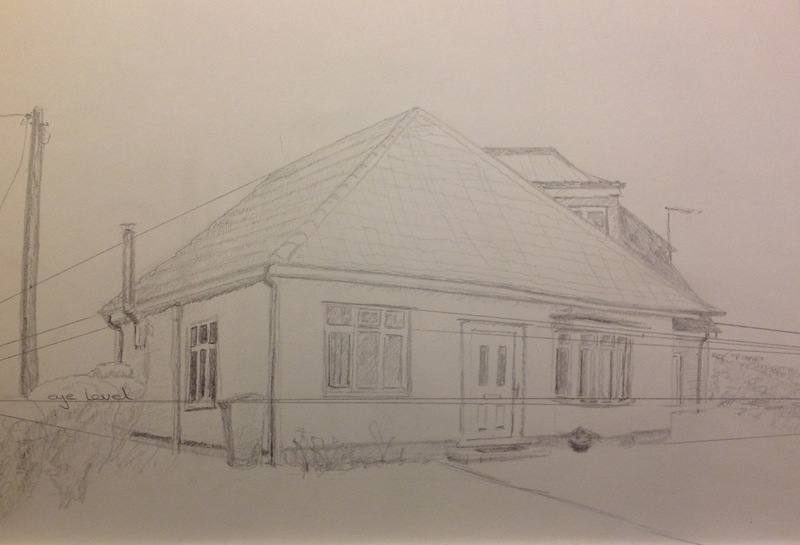 Although the overall image looks believable, the house travels back a lot further than the sketch seems to indicate. Maybe this is due to a lack of tonal contrast.